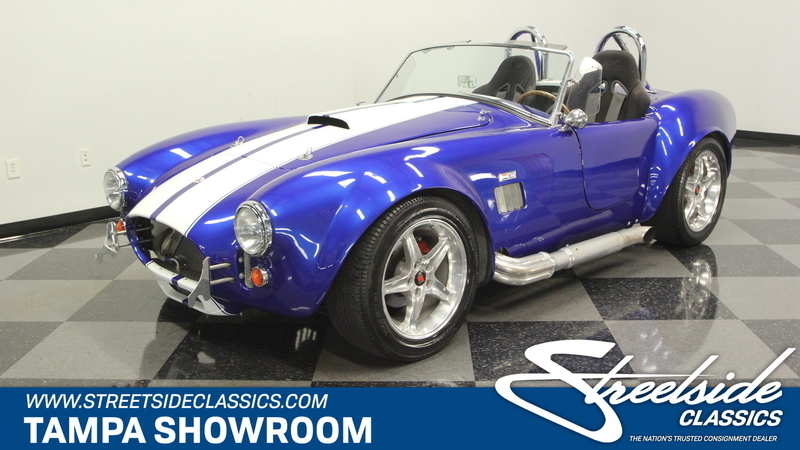 A seriously speedy machine with all the right thoughtful touches and upgrades – that's why you get with this supercharged 1965 Shelby Cobra by factory Five. 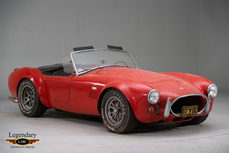 A Cobra is a true racing legend. 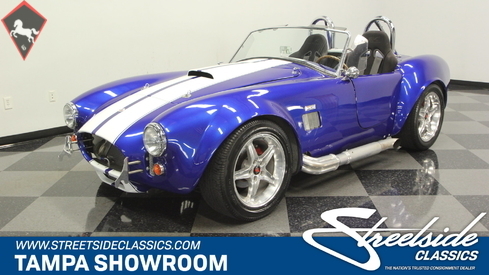 Sure, the curvy silhouette came from England, but Carroll Shelby was the one who took a lightweight runabout and gave it true aggression with fat fenders and a mean hood scoop. You really get to see that attitude thanks to a quality Factory Five body and the sunlight radiating off the metallic blue paint that was applied when this car was built in 2006. 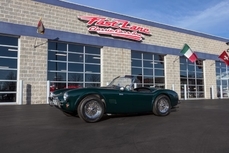 Even the iconic racing stripes have added attraction with details like a pinstripe border. And while this one already has a bright personality, some of the best brightwork is from the competition-inspired pieces. The jack bumpers, dual roll hoops, racing gas cap, and menacing side pipes really grab attention. 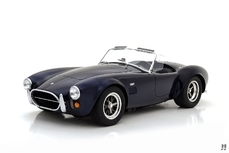 And those five-spoke Cobra R wheels are a terrific addition to this speedy and shining total package. Inside is more of the classic competition attitude mixed with the right upgrades. It starts with the APC racing bucket seats that have a high back design to keep you planted better in the corners. And the five-point Simpson racing harnesses are there for serious competition, too. Plus, the full set of AutoMeter Pro-Comp gauges and a shifter in the exact right position are part of an unbeatable package to keep you happy on the track. But more than just a pure racing machine, touches like the classic wood rimmed steering wheel and AM/FM/XM/CD stereo let you know there is style and comfort in this build, too. You even get a brand new top with the sale. A serious completion machine deserves a serious motor. So you'll love lifting the hood on this one to show off the engine bay. After all, not only do you have a 302 cubic-inch V8 dressed with Cobra valve covers, but also we all know what supercharged superiority looks like. In fact, this motor was built correctly with newer heads and a newer camshaft to make sure it's fortified and ready for that Paxton supercharger. 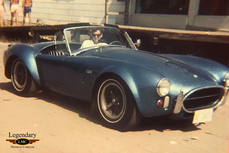 Plus, this one has even more go-fast goodies like a Holley double-pumper 650 CFM four-barrel carburetor, Edelbrock intake, MSD ignition, and headers to feed the growling side pipes. And this full power package knows how to run cool thanks to an aluminum radiator with electric fan. You're in complete control over the supercharged V8's fury with the five-speed manual transmission. Plus, with a race-inspired suspension and four-wheel disc brakes, control is a central theme to this low-mileage build. A smooth-shifting supercharged speed machine like this is rarely so obtainable, so don't miss your chance. Call today!!! 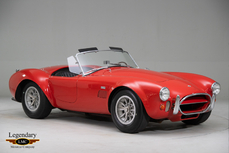 1965 Shelby Cobra 427 Supercharged 302 V8 is listed for sale on ClassicDigest in Tampa, Florida by Streetside Classics - Tampa for $34995.